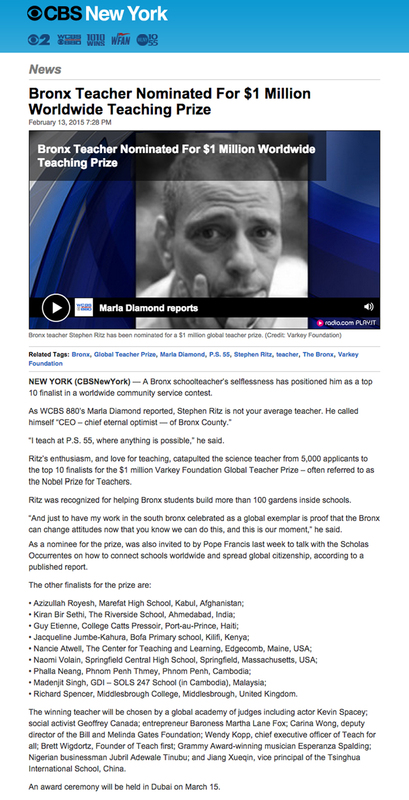 Keep up the fantastic work Stephen Ritz! This amazing teacher continues to impress! He has done so much to transform the lives of his students. Stephen Ritz deserves all the support we can give! He is doing amazing work for underprivileged communities.